Anasazi Foundation is a non-profit behavioral health organization located in the city of Mesa, Arizona which is just east of Phoenix that provides treatment and assistance for adolescents (13-17 years), parents with children, and young adults (18-25 years) struggling with behavioral issues ranging from substance abuse, internet addiction, and mood disorders to other self-defeating behaviors. The wilderness therapy program was founded in 1988 by Larry Olsen and Ezekiel Sanchez—two wilderness pioneers who believed that patients receiving treatment should interact with their natural surroundings and would respond to love and mutual respect of one another. The center provides individualized patient care by its experienced clinicians and aims to address every single aspect of the patients’ life—biological, social, psychological, etc. Additionally, the facility offers an intervention training program for parents and has a family involvement method of treatment which involves parental involvement in their child’s treatment. The family involvement program usually entails parental workshops and education. Anasazi offers a number of services which include a 49-56 day residential program for adolescents and young adults. The organization also utilizes a therapeutic approach to treatment which utilizes a holistic approach and aims to influence the individual’s body, mind, heart, and spirit. Psychological testing which helps in behavior evaluation and assessments is also offered at the facility. 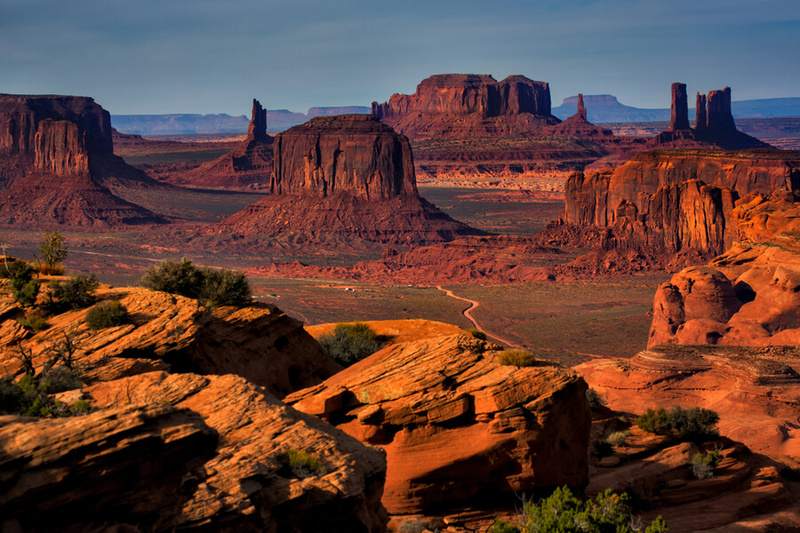 The Anasazi Foundation is situated in the city of Mesa, a suburb of Phoenix and uses the wilderness outdoor environment to facilitate the rehabilitation of adolescents and adults. The patients spend about 49-56 days in the Arizona wilderness living a primitive type of lifestyle and surrounded by nature. Activities like hiking and camping are extremely encouraged and patients usually build their own shelters to protect themselves from harsh elements. The organization believes if individuals can survive at the camp, they can survive anywhere. Patients are taught independence and responsibility by learning how to prepare their own food, with food packs that are refilled once a week. The organization is not a boot camp and does not employ capital punishment, manipulation or force. Staffs at the facility walk the trail with the participants and with the same food and gear. This form of treatment is especially for youths between the ages of 13-17 years old battling substance use disorder and other behavioral problems. Children are assigned “Shadows” (also known as counselors) who work closely with the child and their parents. These counselors are often supervised by experienced medical staff. Patients may receive physical education, self-reliance sessions, and workshops. This form of treatment is especially for young adults between the ages of 18 years and older. Participants get involved in a “Sinagua” walking activity which seeks to help adults struggling with issues such as mood disorders, anxiety, substance abuse, and depression. Anasazi Foundation offers programs that are billed on a daily rate and in this, all materials used, therapy sessions (individual and group), and other programs are included in the daily rate payments. It costs about $13,945 for a 49-day treatment depending on the program registered into. A payment of $1,250 (which is a one-time payment) is required as it is the admission fee that covers payment for clothing (hiking gear) and psychological evaluation. Students that exceed the average duration of stay which is between 49 to 56 days are required to pay additional fees that might apply in relation to this extension. Insurance is accepted by the facility but fees that insurance providers are expected to pay, even though the insurance has been approved, are due to be paid upon admission into the facility. The facility will reimburse clients when the insurance company makes the payment. Other financing options such as Prosper Healthcare Lending are available for clients that cannot afford to pay for treatment. The facility matches each student to a counselor who will work with both the parents and the student to get to the root of the problem and help fix it. Counselors go on these camping trips with the children, carrying the same items and while on the trail, finds for the right time and methods to help the children heal. The facility strongly believes that infusing the appreciation of outdoors and Mother Nature aids the healing process and in that they incorporate this camping experience into the program to help students conquer their fear and addiction and find sobriety. The foundation is a good choice for parents looking to help their children find peace of mind and understand their children better. Mike went to The University of Brigham Young (Marriot School of Management) and was given the title of Outstanding Professional in 2016. He has been the head of multiple organizations such as the National Association of Therapeutic Schools and Programs where he served as the president, and the Outdoor Behavioral Healthcare Council which he co-founded. He has held multiple positions in the organization before becoming the chairman such as Director of Operations and Executive Director/CEO. Sean went to The University of Utah were he holds a Bachelor of Arts degree in Consumer Studies. He handles logistics, business operations, facilities management, and human resources for the facility. Before being the co-executive director of Anasazi, he worked at Responsive Management Outsourcing where he served as Director. Sean went to The Northeastern State University and St. Gregory’s College where he earned degrees in Mass Communications and Business Administration respectively. He is in charge of the facility’s social media management and marketing. He is responsible for the development of the facility’s scholarship fund.